This entry was posted in Culture, Gigs & bands and tagged african drumming, ginger baker, jazz, ronnie scotts by wolandscat. Bookmark the permalink. Wow! 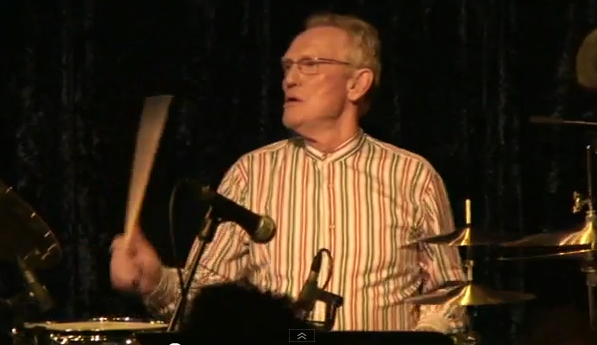 Ginger Baker is still alive and making music? Fantastic. I am officially jealous, you barsteward. BTW: you do realise that yesterdayish was the 20th anniversary of those farking riots you started in Los Angeles, right? But I’m betting you didn’t either. And I did not know that it had happened… it’s possible that you did, but if you did not, the world would be a terribly sorry place if I did not inform you, no? Colour me appropriately awed by this clip, by the way. PS: They did miss you. But if you’re not careful, this time they’ll take aim properly.